In terms of the financial transaction the world has changed its way of paying money; starting from the barter system and now it’s moving to online payment. The app development companies took a step further into the digital world and created digital currency and this is where Blockchain technology comes into play. The major concern for any app developer is the issue of app approval with Google play store and apple apps store being the leaders they demand quality and integrity of the app. With the introduction of Blockchain technology, the app approval system can be made easier because of the transparency of the app developer. App developer’s financial transaction will be directly linked to the public ledger. Advertising has become a major concern in every industry especially in the Mobile application side there are more 2.2million apps. The mobile app developers must invest in CPI (Cost per installation) campaigns; these campaigns are very shady and risky and they are being controlled by middlemen. With the Entry of Blockchain Technology, the advertising style can be modified by eliminating the middlemen and providing a new campaign based on the amount of time spent in application this is called CPA campaign (Cost per attention). A recent report says that more than half the people in the world are using smartphones but among them, only a few billion people are using the in-app purchasing that are necessary for them to use the app. The main hassle comes into the situation is that both the user and developer are not happy with the payment process for in-app purchase. Blockchain technology will help the user to use their CPA rewards even without the help of credit cards and other payment methods; Apart from this, the Developers can enjoy a benefit of 85% from the transaction value by evading the middlemen. Security has become a major concern in every digital platform because of hackers and malware problems most of the app developers are very serious about these issues. Due to the issue of digital currency people worry that Blockchain may also face the threat of security problems, it will empower the app developers and give full control to them so no one can alter the data without their prior access. The use of passwords has become a bane in the digital world this may be a bit cryptic but passwords are cracked more easily nowadays by the hackers, but with the help of Blockchain technology there is no need for the use of passwords. It has its best feature of network decentralization so there will be common consent among the involved people for the authentication of Blockchain based SSL (security socket layer) certificates. This will make the transaction method ease and there will be no issues. Blockchain technology has the best transparent and secure environment for the transaction; why? Because the transaction activity will be tracked and monitored in such a way that the users can easily follow the process and also reduce the risk of any fake transaction or security issues. The security concerns will be highly controlled in categorization and information storage and it will be tracked, verified, secured. Entries can be increased so there won’t be any limits to feed the information. It stands as a strong verification and balancing system that will give the user full control over the digital process. Every individual involved in the Blockchain will have a unique digital identity that is created specifically for them. It is created by filling out their details in the network of the public or private Blockchain domain. This unique identity will be strong and highly reliable so there won’t be any security problems. The unique identity can be used for various purposes so there won’t be any confusion. This one can be shown to any government organization, Healthcare organizations and financial institutions as a personal identification proof. For an App developer, this form of identification can be considered as Eden’s apple so that can use this method to create digital identification management apps for different sectors. Digital wallets have become the state of the art transaction methods in various parts of the world; this form of change is due to the latest change in cryptocurrency advancements. All these are completely secured with the help of Blockchain technology. The blockchain is simply a vast digital ledger that is powered by an extensive computer network, to send and analyze the data in a seamless manner. If there’s any change in the accounting records or data it automatically changes the other machines that are connected on the same network and above all the values are adjusted based on the changes. This kind of methodical approach should be followed by the mobile networks as well normally the mobile networks exploit the client and server system. A major focus has to be in this because mobile networks are overburdened with millions of users trying to access the data, but with the help of this technology the problem can be solved as the Blockchain Facilitates increased storage space and uninterrupted data streaming services. Blockchain gives the users multiple accesses but it needs verification of adjusted information. With this technology, enciphering is a very difficult process and makes it impossible to duplicate the system without the decryption key. In the upcoming years, Blockchain technology will grow parallel to mobile technology and it will be widespread. 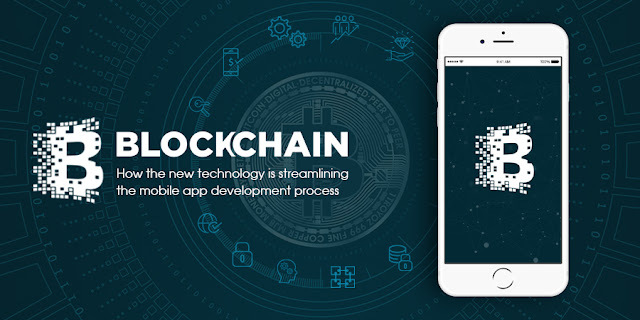 The mobile app development company is motivated on creating custom OS apps the Blockchain technology can safeguard the consumer to the highest level and confidentially secures all your app projects with new industry standard security and encryption. To build a brand new website or creating a web development project, absolutely the first choice is the content. With the right content management system, the business can be projected in an effective strategy. In nowadays world of digital communication, everywhere the works and actions are carried as digital derived options which are open source, e-commerce focused, and content focused. Thus to strive in this path of business right content is the needed fuel to ignite the business towards winning path. CMS means Content Management System and it is used for effective use of content for the content marketing campaigns. It is not a matter of how great the content, the CMS should display and manage it in the right way; otherwise, it will not create the exact impact of the quality content. Nowadays, content remains as the strong backbone to gain effective interaction with the customers and to get a great reach through different pipelines. Users are highly engaged with the content in various smart mobile apps and websites. 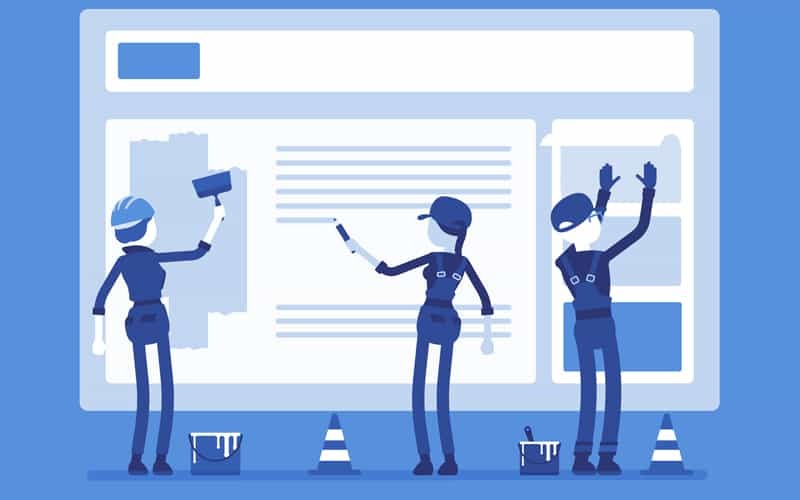 If a website has to remain strong, then the ultimate thing to do is to regular update of different types of contents, blogs and even through the social media platforms. To handle all these things in a well-defined way, Content Management System is the mandatory option to get accurate managing of contents in an efficient way. With prolific types of CMS in the market, it is a hard task to choose the best one to carry out complex tasks. It can be decided based on some preferred factors such as platform, market requirements, number of users and absolutely the budget. If it meets the business demands and satisfying the profit criteria then the right CMS option can be chosen wisely. Overall the CMS is categorized into open source and License types. Source code availability is the only differentiating factor that exists between the licensed system and open source. Open source is totally available for free and the updates can be easily done by a huge number of users. But it lacks the other support and security guarantee features with the trusted providers. Open Source CMS is a freely available one and the frequent updates can be done by a huge number of users. But a licensed CMS is the one which is sourced by a third-party, and to avail that CMS one has to pay for it and also the support and maintenance features are all covered. Licensed CMS is a dedicated paid option that offers a well-developed roadmap for the process executed and other developments which is based on planned schedules. It is easy to handle for the programmers as they have knowledge about the whole plan process of the CMS for the project. But Open source CMS is a peer production one with volunteers, where the source code is open to the public. It will be harder to find out the person who contributed to the software. To keep the CMS in a safe way is a very important aspect, as it is managing all the contents such as blogs, social media pages, intranet etc. If any issue is rising on CMS, it can directly impact the customer service. So it is better to have a quick support system for the CMS. With an open source CMS, anyone can take over the code and formal support options are not available for that. But for licensed CMS separate 24*7 support services are there. So CMS can be easily protected and maintained. Without proper updates on time, the user experience can be totally affected. For CMS also, it is necessary to sustain technological changes and user demands. To satisfy the user with perfect user experience, updates are a mandatory one. In open source CMS, the codes are open and it can be modified. But that modification process will be a tedious one. But a licensed CMS has options of a clear upgrade at the regular time so that the services can be unaffected. This customization option is totally dependent on the type of business involved. To maintain the content management in a unique way for the audience, then the CMS should be capable of easy customization option. Open source CMS has an inconsistent user interface but a licensed one has add-on options and it is easy to customize the content on sites at regular intervals of time. To summarize, whether choosing open source or licensed, it is based on the requirements. By proper consideration of the above-said features, one can get an idea to choose the right one to offer clear contents for the users. In the primordial days of technological development, large size desktop computers were there and every operation was carried out in the intranets for the organization, as there was not such a bigger popularity and connectivity of internet among the people. Over the last 10 years only, the internet has boomed across the worldwide population and with the inception of smartphones and other electronic gadgets, the internet has grown to a sky-high level faster than ever. Every business and normal user needs some kind of mobile app and internet to carry on their tasks in their day to day life. So, it is a prominent fact to have an individual mobile app for all the website holders, as the mobile-driven traffic to the website page is higher than the actual computer website visitors. Nowadays various ways and methods are there to create a separate app to manage the website platform and the conversion process can be done in a shorter time. Websites are always powerful assets to explore the audience and publish the brand. But to stay with the wave of current trends of exploding mobile device users, all the organizations are shifting their path of business to provide responsive mobile friendly web designs and individual mobile apps for the brand to develop a personalized connection with the users. As the number of handheld device users is damn too high, it is an advantageous option to develop native mobile apps with distinctive functionalities more than the websites providing. People are spending 10x more time to the handy mobiles than opening their PC, thus the absolute realization is that a huge number of customers is engaged towards the mobiles. More than the websites, multiple functionalities can be included via apps such as push notifications, Camera, Offline access, GPS and so on. You can easily get help from a professional to turn your website into a separate mobile app. The biggest advantages of mobile apps than the websites are its ability to connect to individual device services and its hardware. The app is able to access the address books, camera, pictures, and microphones etc. The mobile device is actually a part of the user’s daily lifestyle and it is totally designed for individual use. Thus data catching and offline access capabilities are enabled through mobile apps easily. Communicating with the database is totally different from a website and mobile app. Mobile app design may be a two-layered one or three layered. Two-layer apps are able to connect directly with the database. But in the three-layered apps, the server is the second layer which can handle the connection between the app and the database. If the server is already present and optimized for the mobile, it is easy to extract the data from the website into an app. Mobile apps work against a server layer using JSON APIs, but websites are using the HTML format. Other functionalities such as payments etc. are processed differently on the website than the mobile apps. Multiple platforms are there, where your existing websites can be easily transformed into native android and ios mobile apps in a seamless way. With simple steps such as entering the URL of the website or web content, naming the mobile app, framing functionalities and finally publishing on app stores as per the preference. Many numbers of users are using these platforms to convert their websites into apps effortlessly. After the download of the app on the user’s mobile, the brand icon is on the customer’s mobile. The services of the enterprise are just one tap away from the user. Apps eliminate the tedious process to remember the address of the website and take separate time to browse on the internet using the URL. Google promotes linking websites to the mobile apps in recent years, and they are also encouraging website owners to have a separate mobile app to keep an access with their visitors. Thus to keep the business on the cutting edge technological growth, and to reach out top on the Google results, mobile apps can help a lot. 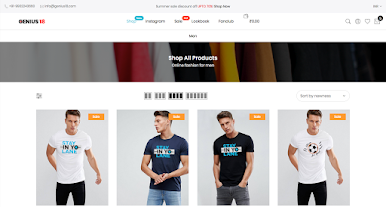 By providing periodic offers, and special coupons and promo codes for the mobile app users, especially for the e-commerce sites, mobile apps allow more possible choices to gain customer loyalty that can lead to gain a number of engaging customers for the brand. Push notifications are not rudimentary features; it can be a great marketing tool for the brands to promote their enterprise through sending timely messages through apps for the users. Thus it's moreover like engaging customers through advertisement campaigns, but totally at free of cost for the companies. Mobile apps are absolutely a great destination for innovation where the developing technologies are effectively utilized. If the enterprise ultimate goal is to provide the customers a great user interface experience and to access the user’s mobile native functions, mobile app is the best option to sell the products and services ahead of multiple competitors. Dipanwita Murabayashi is a leading Content Marketer at Doxtar, where they work in developing mobile apps and websites for many services like e-commerce. She is an expert in Content Marketing and Content Developer, the mobile app development by covering all platforms of it. Doxtar is a web and mobile app development company, which develops e-commerce platforms for both desktop, tablet and mobile devices.